There have been a countless new developments in the field of education. 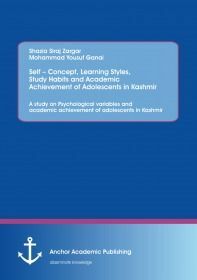 It is a fact that in recent years Education has emerged as a professional subject knowledge of which is essential for an effective instruction.The utility of the book is further enhanced by the provision of summary and references and appendices. Not only this the logistic and lucid presentation of the book will foster critical thinking and creative imagination in dealing with the students.It is hoped that this book will enable the teachers to perceive classroom situations with a deeper insight and also increase his/her professional competence. They can focus on the shortcomings of the students so that they can be tackled well in time and can groom and excel in all fields of life.